Nine News tonight reported that a "mother from Albury claims that her local Woolworths supermarket don't stock newborn formula because newborn babies should be breastfed." Should a supermarket be able to force their opinion onto their community? Image source: www.freedigitalphotos.net "Stock Of Milk Bottle Front Focus On White Background Stock Photo" By Keerati. If this claim is in fact correct, this is appalling. Now, I have chosen and been lucky enough to be able to breastfeed both my children - however, I am a strong believer in the mother's right to choose their method of feeding, as long as the baby is receiving the right nutrition. the baby may have an underlying reason, such as a tongue tie, and simply cannot latch on correctly. Whatever the reason, in most cases, I am certain that the mother did not make the decision to bottle feed easily. As a society, we need to support our mothers without judgement and simply give them a pat on the back for doing their best at what is, in my opinion, the hardest role in the world. 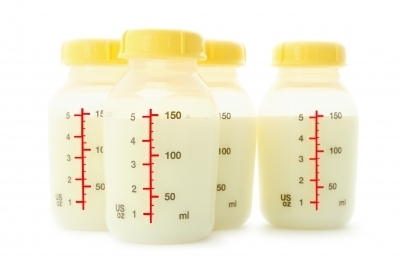 What do you think about this supermarket allegedly refusing to sell newborn formula because they believe breast is best?